Delicja Polska is a restaurant in Warsawoffering a unique atmosphere, created by its delicious traditional Polish cuisine, cozy and romantic interior and truly high restaurant service standard. We endeavor to serve tasty dishesthat satisfy and exceedour customers’ expectations. All our dishes are prepared with special attention tothe high quality and fresh ingredients. 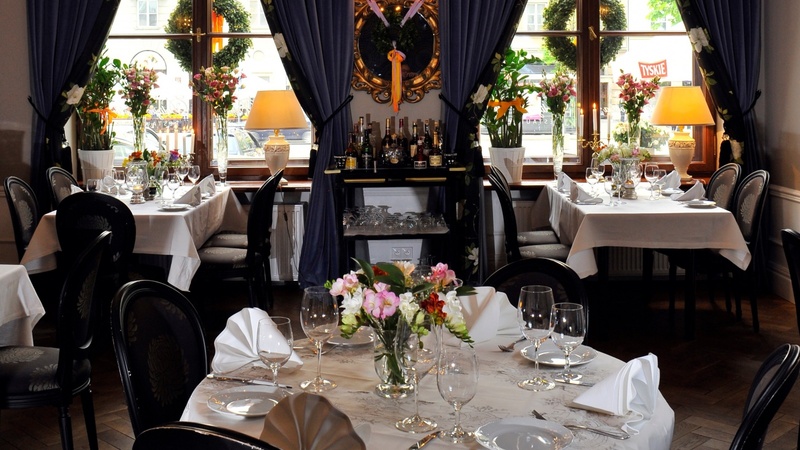 The restaurant is situated in the center of Warsaw, which makes it an ideal place for a romantic dinner, a business meeting, or a friendly gathering. The restaurant’s chef constantly looks for new tastes and creates dishes inspired by regional cuisine and specialties in different parts of Poland. The menu is carefully selected and consists of various tastesto delightour guests. As the restaurant is located in the Warsaw Old Town, it is a nice place to stop and rest during a Sunday walk. The interior of the restaurant represents a timeless, pre-war classic style. Candlelight, and fresh flowers create a warm, sophisticated atmosphere of this place. Delicja Polska is a restaurant in the Old Town and anin ideal place for events, meetings and parties of various character. The restaurant can organize social dinners,family reunions, weddings, corporateevents for clients with high requirements and expectations. The dishes served atDelicjaPolskacombine traditional and modern cuisine. We specialize in highest quality Polish food. In the menu you will find a selection of delicious and filling soups, fresh fish, dumplings,choices of meat and starters. The menu opens up a whole new range of dining experience. We also serve classic desserts, which enable one to enjoy their appearance as well as their taste. Our professional and talented chefs know that cooking is an art. The key element of our restaurant’s success is an excellent offer, which is a combination of fresh products, the chef’s imagination and creativity, and the best authentic Polish recipes. We only cooperate with trusted and verified suppliers, because we believe that taste of a meal is a result of highest quality ingredients.